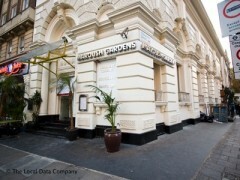 I have traveled the world 35 years, have been to many good Lebanese resturants, I would say Maroush Gardens on Edgware road is one of the top 10 Lebanese resturants I have been to. Some one complained about the prices, WELL, good things are not cheap, cheap things are not good. Your choice. The people at MG are so hospitable and the quality of the food is tops, specially the Kebabs. Keep it up Maroush Garden, I will be back with more people again and again. We had the worst service ever! the staff moved us from our initial table, got the bill wrong 3 times, tried to over charge us for one dish and then blamed the computer for error after telling us we did order the £21 main course (nothing on the menu was that expensive), forgot our coffee. After all of this no "I am sorry". The also over charged the next table too. I asked and one point where our coffee was and the member of staff just walked off. We dined in this restaurant yesterday evening - 17th Feb 2010. I expalined that this was the first time I had eaten Lebanese food, and so the staff provided a selection of food for the table for two people. The staff were courteous, always available, and kept our wine glasses full! We had about 8 starters dishes, followed by lamb shank with rice, and a selection of three kebabs. Two bottles of house wine, coffee and a sweet desert. The service was very poor, price too high and the food was below average..and they charged us £10 for the table!....the only good thing was the nice interior design and the cleaniless of the toilets - that's why they get 3 out of 10. The food is great, the price is a bit too high and no offers ever!!! service is good but delays a highly likely.